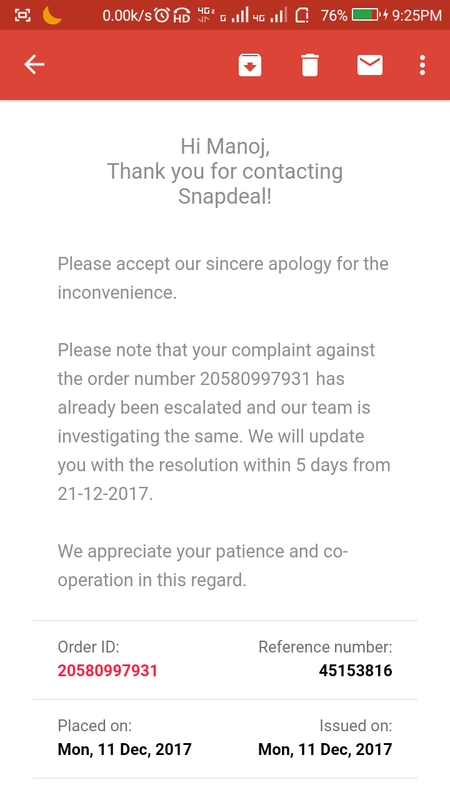 ﻿ Snapdeal.com - I Didn't Got My Refund. Home > Snapdeal.com > Snapdeal.com - I Didn't Got My Refund. Snapdeal.com - I Didn't Got My Refund. 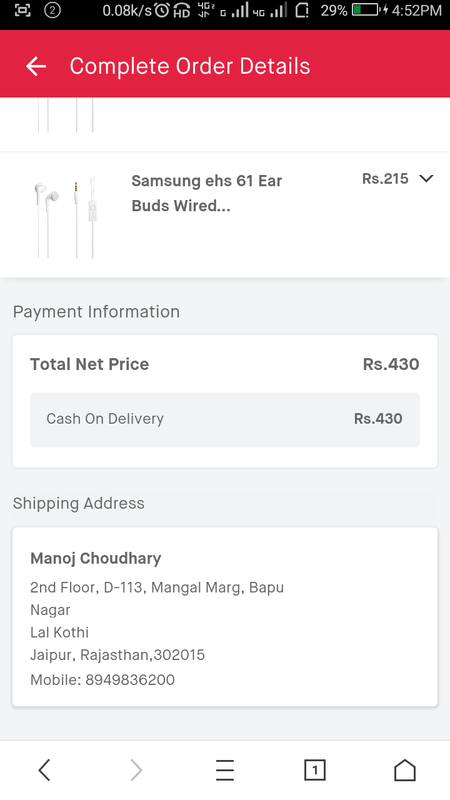 I Ordered Two Original Earphone of Samsung By Snapdeal App On15 Dec., but at the delivery time i got duplicate earphones both. 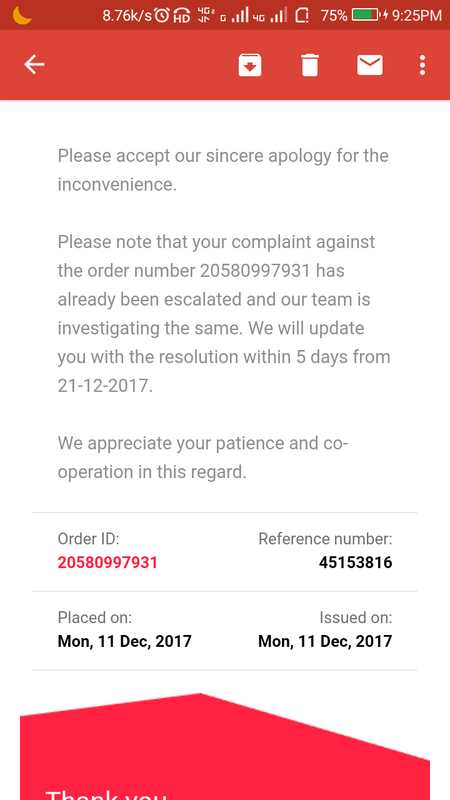 So i Aplly to refund it and its refunded by me on 19th Dec . Snapdeal ask me To Send Refund in next 5 Days. After 4 Days I got Refund Amount of Only One Earphone. Now i Already Complained Two Tines For My Remaining Refund And they always ask me for 5 days and i know they didn't want to send. Really its A fraud application. 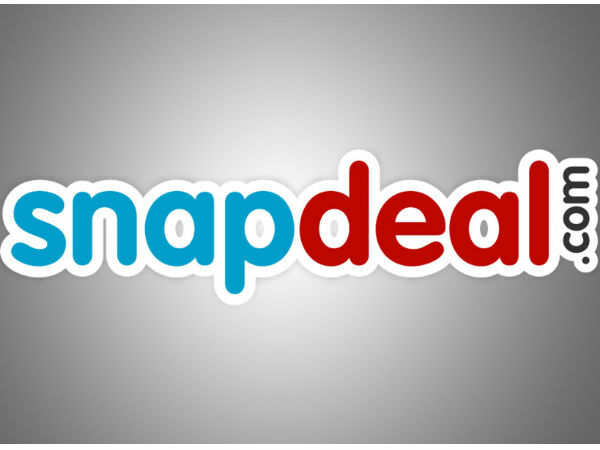 Now I'll not use Again snapdeal in future. Please Provide my my Remaining Amount of Refund. Thank You.